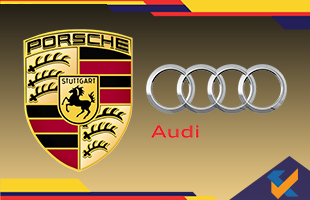 The officials of Porsche and Audi are under the scanner with German police raiding the Porsche and Audi offices with the aim of inquiring about emission manipulation. Sources have come up with the information that close to 10 offices in Bavaria and Baden-Wuerttemberg were searched by the German polices in an attempt to search for document which could justify the allegations on the two companies for fraud and fraudulent advertising as it tried to manipulate emissions control systems of diesel passenger cars. Other sites like Ingolstadt, Neckarsulm, Munich and Austria were also searched by around 33 prosecutors and 160 police officers. Three people have been accused, one of whom belongs to Porsche's executive board, one a senior manager of the company and other already left the company. BMW has also been under the radar previously and has been sued for installation of defeat devices in tens of thousands of vehicles in an attempt to cheat on emission tests.